CENTRIC MOULDER BED LUBRICANT: Reduces friction and aids in the feeding and machining of parts. Bedplate wear is reduced. It is clear, non-staining and safe to use. 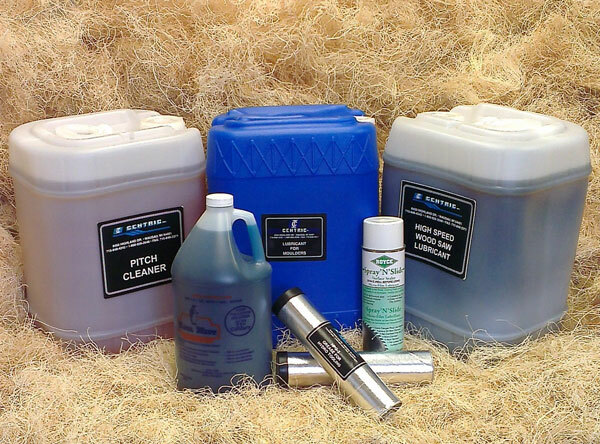 Available in 5 gallon containers and 55 gallon drums. GREASE FOR HYDRO LOC TOOLING: HPG2 is our recommended grease for hydro loc tooling. Clean blond color. COOLANT FOR GRINDERS: Available by the gallon, 4 gallons/case, 5 gallon pail or 55 gallon drum, OSHA approved, biodegradable, and safe to use.